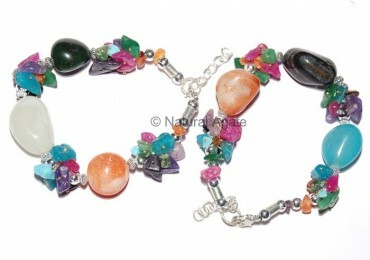 Mix Gemstone Bracelet is collection of tumbled stones and chips stones. It is vibrant and fancy. Get it now from Natural Agate.